CLEVELAND (AP) — The massive makeover of Quicken Loans Arena will include a new name. 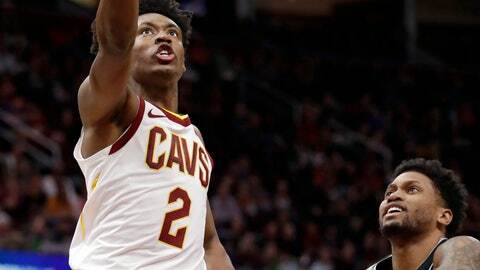 The Cavaliers‘ downtown home will be renamed Rocket Mortgage FieldHouse, a person familiar with the decision told The Associated Press on Monday night. The announcement of the change will be made Tuesday at a news conference, said the person who spoke on condition of anonymity because the team is not revealing the nature of the media gathering. The Cavs sent out an advisory about a “major announcement” and said owner Dan Gilbert and Cleveland Mayor Frank Jackson and general manager Koby Altman would be among those in attendance. Best known as “The Q,” the 19,000-seat arena, which hosted the Republican National Convention in 2016, was previously known as Gund Arena before Gilbert bought the building and team for $375 million from Gordon Gund in 2005. The building has been undergoing a $185 million renovation over the past few months and it set to be completed this fall. The project, which was financed by the Cavs, will give the building a sleek, new glass facade and more than 42,000 square feet of public space. The Cavs play their season finale on Tuesday against Charlotte. Gund Arena opened in 1994.